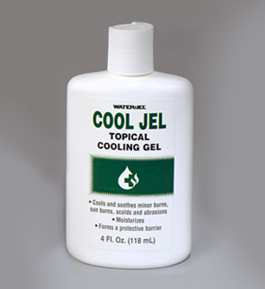 Burn Jel without the Lidocaine. 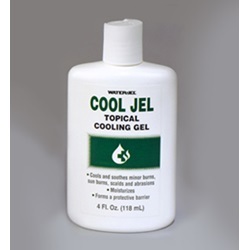 The product's cooling formula soothes minor burn injuries and moisturizes the injured area. It provides comfort and forms a protective barrier that guards against contaminants and irritants that may delay healing. Convenient squeeze bottle. Shelf life: 3 years from date of manufacture.